To our delight, A discovered that MEATmarket(who belong to the same company that runs the famous MEATliquour chain and a couple of other restaurants), serves Halal chicken, which is cooked separately, at their branch in Covent Garden…and so we didn’t waste any time in paying them a visit. Milkshakes at fast food outlets typically cost twice that of soft drinks so the student inside of us always winces at a (roughly) £5 pricetag. 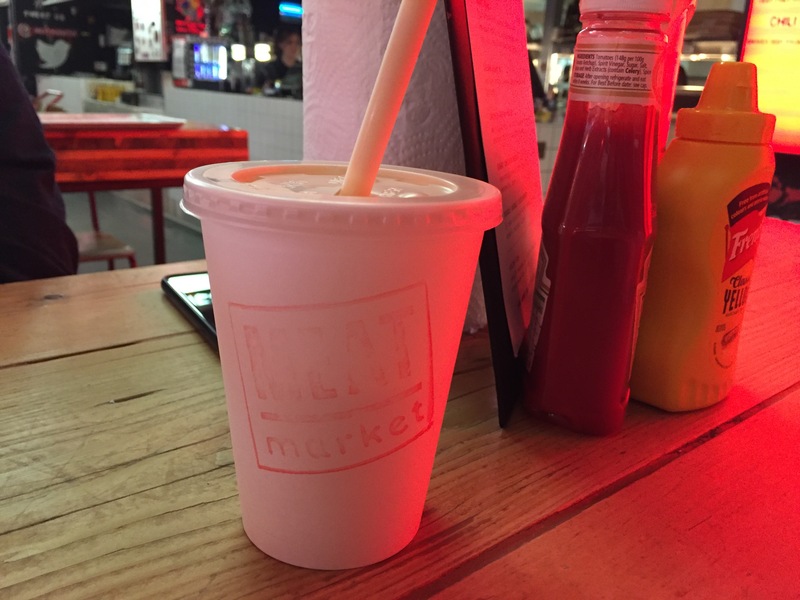 But, the food blogger inside of us always wins and I’m glad we tested MEATmarket’s salted caramel milkshake because it was delicious! I’d definitely recommend trying this. 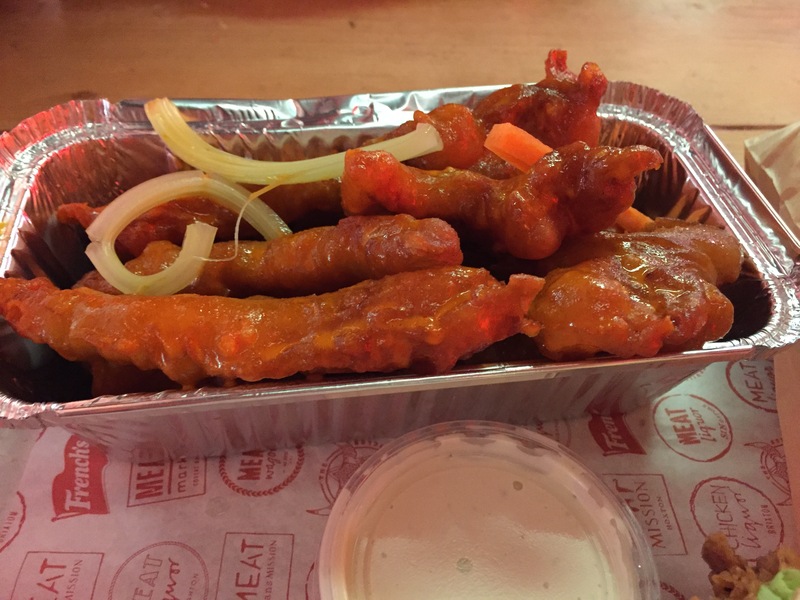 The Monkey Fingers are essentially battered fillets of marinated chicken covered in a sour, peppery sauce – similar to Frank’s Red Hot sauce, which is usually used to coat buffalo wings. Both A and I had high expectations of these Monkey Fingers, which MEATmarket are well known for, but we were left extremely disappointed. The chicken was just too sour and the blue cheese dip provided, added little to the flavour. South African style BBQ chicken wings that are covered in a very spicy rub. 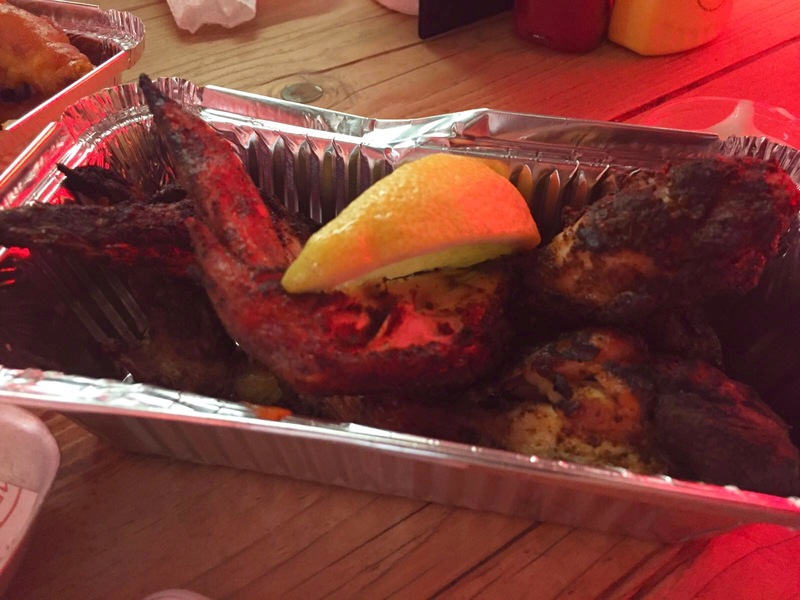 I was not too impressed with the Braai wings since the chicken was a bit too dry for my liking and I have A‘s word, owing to her South African heritage, that they were not amazing. After the underwhelming starters, I was nervous to take the first bite of this cheeseburger, but it was great. The deep-fried chicken fillet was crunchy and spicy and was supplemented well by the cheese and mayo. It was really delicious but extremely messy to eat! 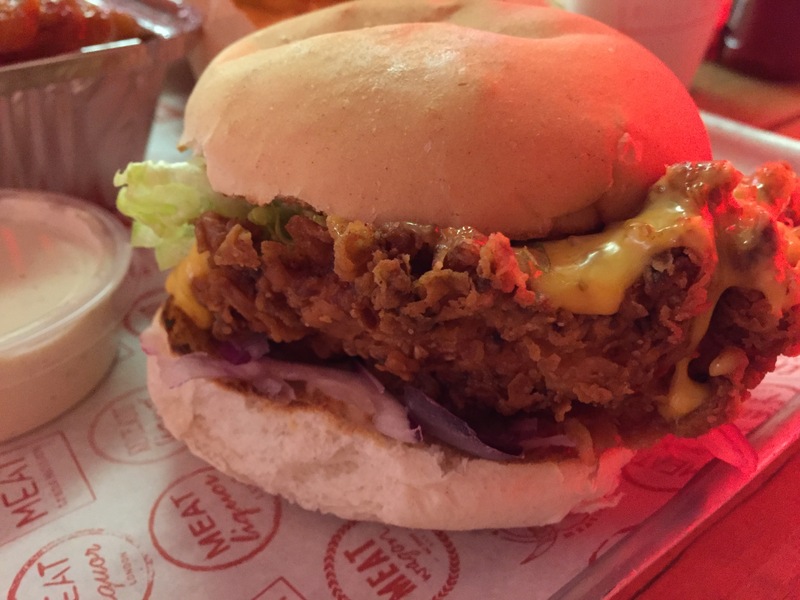 Given the hype that MEATliquour and the halal counterpart – MEATmarket – that we visited, generate on Instagram and social media, we were both expecting a lot more bang for our buck. Saying that, the Dirty Chicken Cheeseburger and salted caramel milkshake were both delicious and helped make the trip worthwhile.